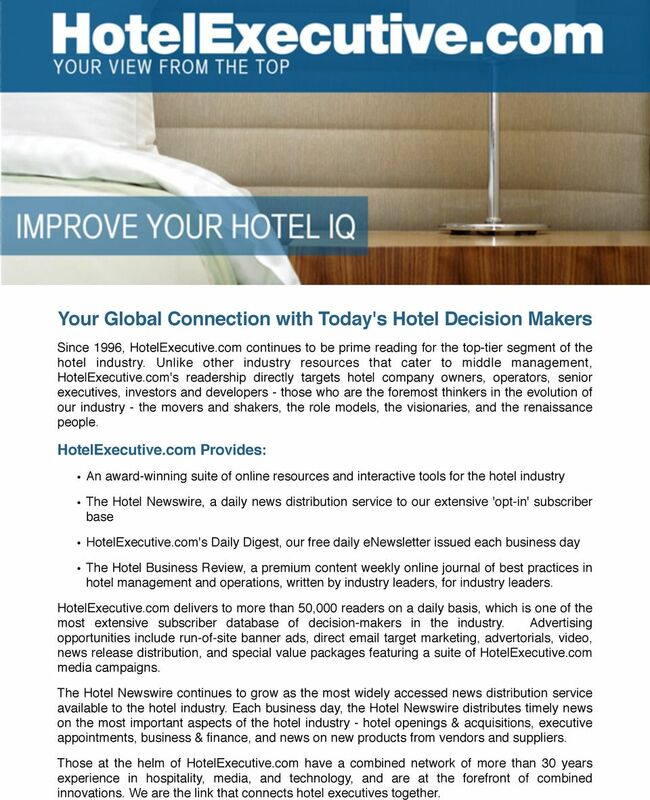 Download "Your Global Connection with Today's Hotel Decision Makers"
1 Your Global Connection with Today's Hotel Decision Makers Since 1996, HotelExecutive.com continues to be prime reading for the top-tier segment of the hotel industry. 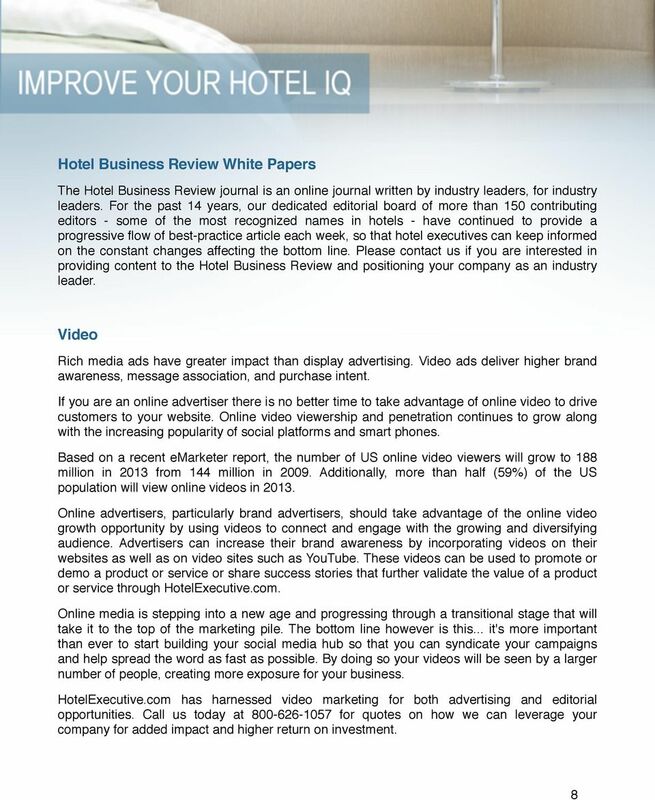 Unlike other industry resources that cater to middle management, HotelExecutive.com's readership directly targets hotel company owners, operators, senior executives, investors and developers - those who are the foremost thinkers in the evolution of our industry - the movers and shakers, the role models, the visionaries, and the renaissance people. 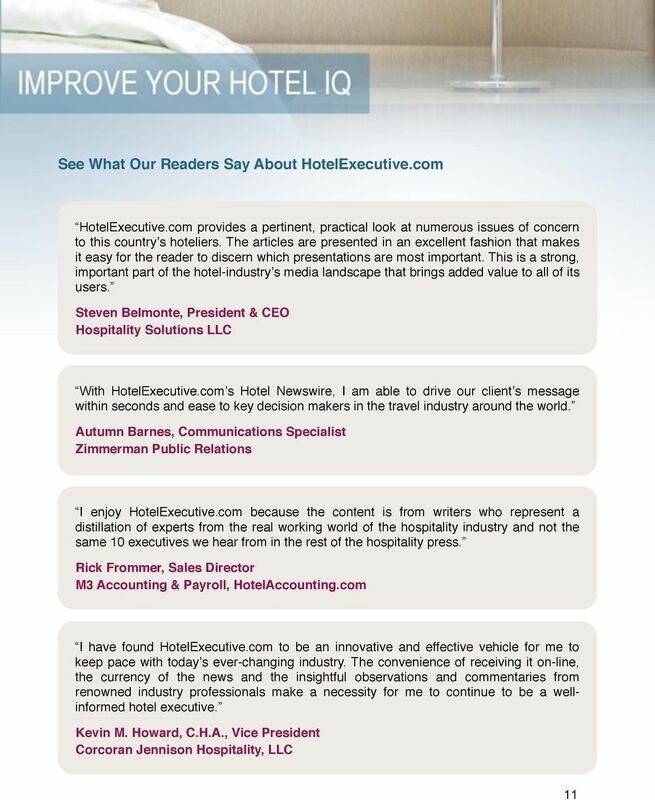 HotelExecutive.com Provides: An award-winning suite of online resources and interactive tools for the hotel industry The Hotel Newswire, a daily news distribution service to our extensive 'opt-in' subscriber base HotelExecutive.com's Daily Digest, our free daily enewsletter issued each business day The Hotel Business Review, a premium content weekly online journal of best practices in hotel management and operations, written by industry leaders, for industry leaders. 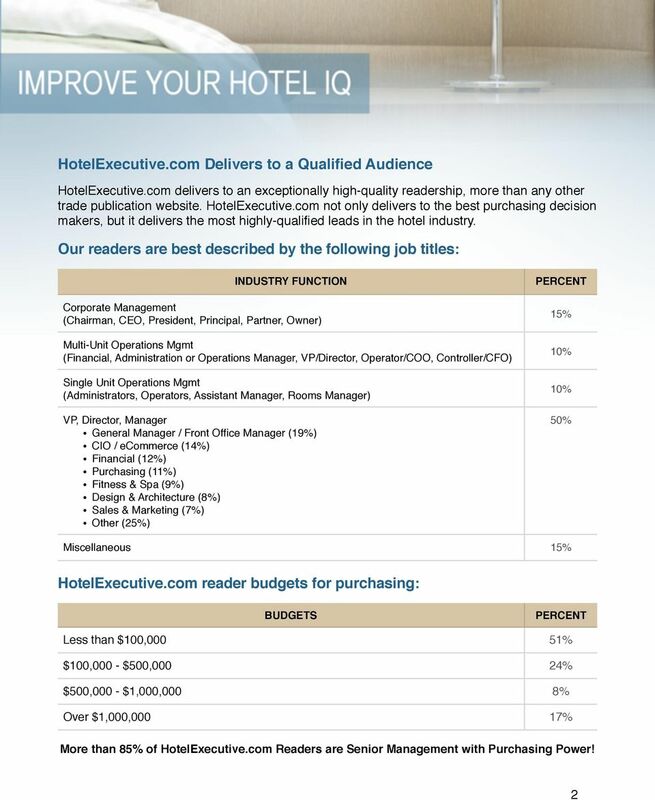 HotelExecutive.com delivers to more than 50,000 readers on a daily basis, which is one of the most extensive subscriber database of decision-makers in the industry. 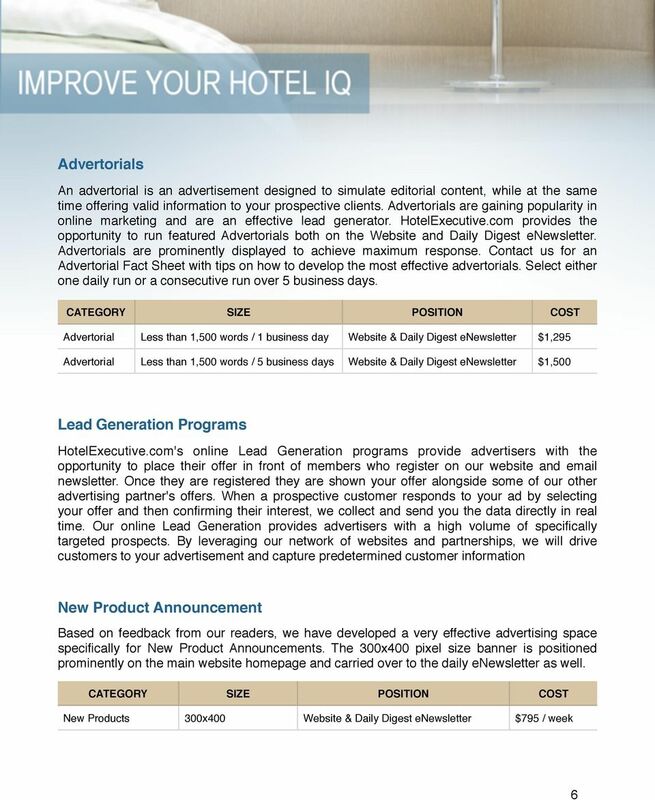 Advertising opportunities include run-of-site banner ads, direct target marketing, advertorials, video, news release distribution, and special value packages featuring a suite of HotelExecutive.com media campaigns. 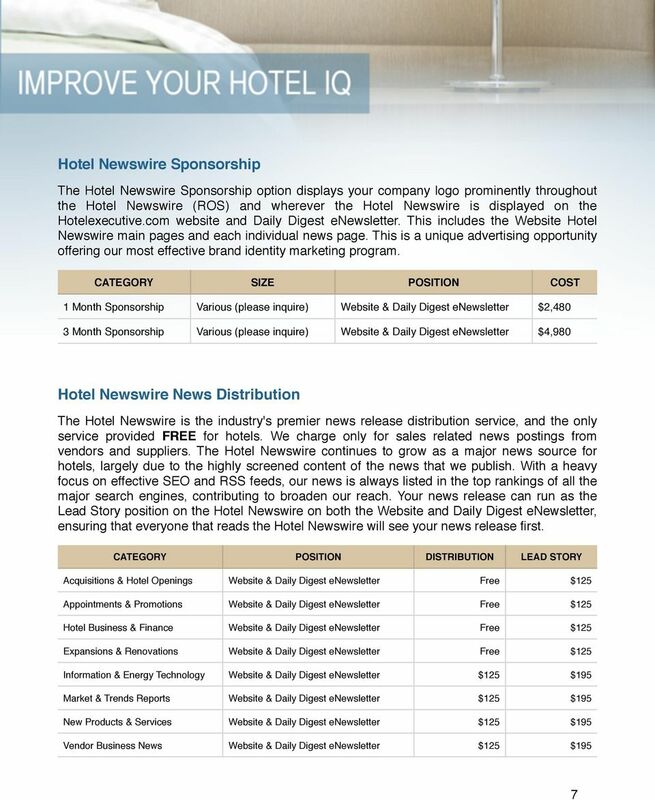 The Hotel Newswire continues to grow as the most widely accessed news distribution service available to the hotel industry. 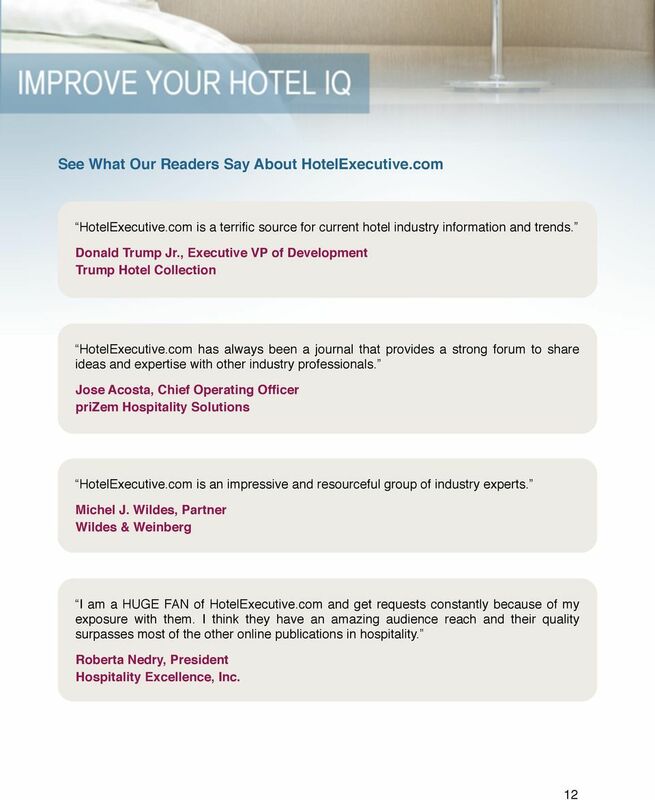 Each business day, the Hotel Newswire distributes timely news on the most important aspects of the hotel industry - hotel openings & acquisitions, executive appointments, business & finance, and news on new products from vendors and suppliers. 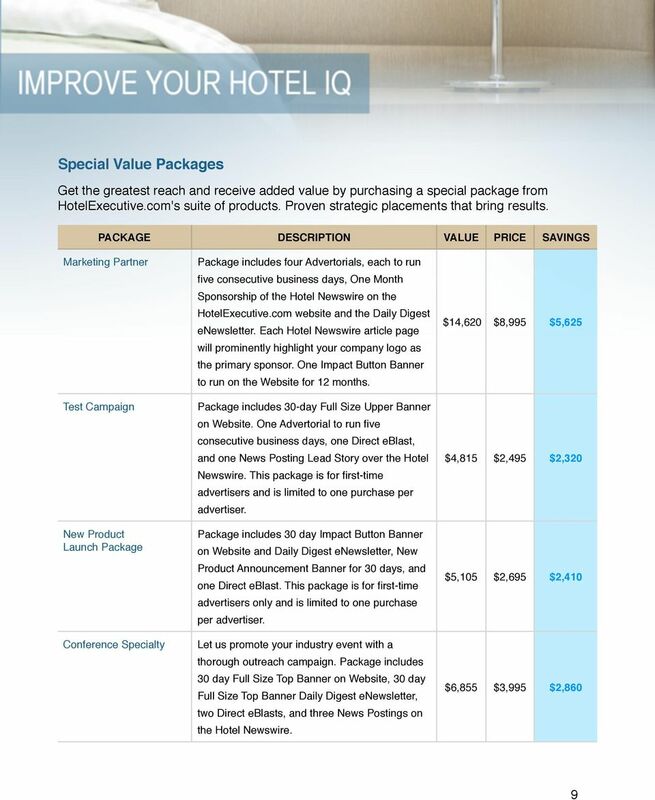 Those at the helm of HotelExecutive.com have a combined network of more than 30 years experience in hospitality, media, and technology, and are at the forefront of combined innovations. 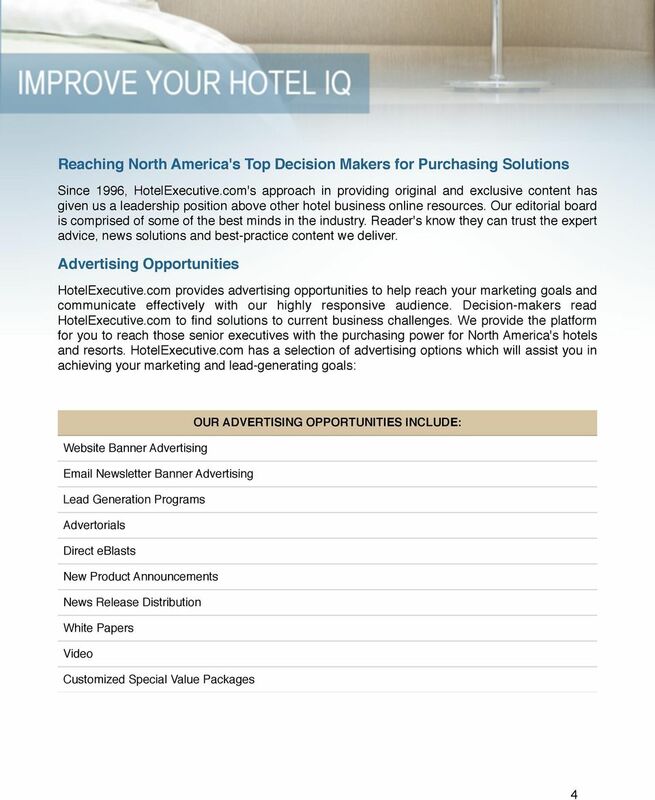 We are the link that connects hotel executives together. 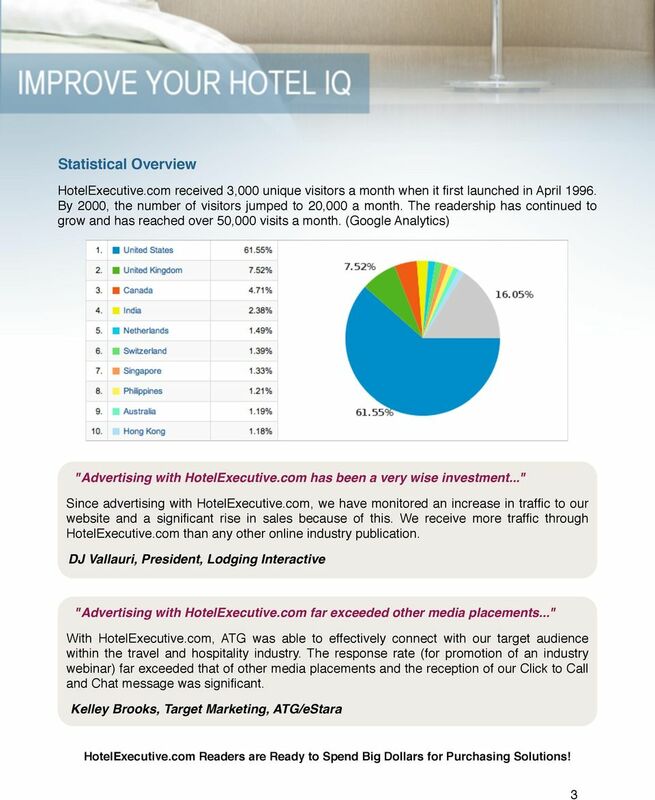 ICMI: Connecting You With the Largest Network of Contact Center Professionals The International Customer Management Institute (ICMI) connects the largest global network of contact center professionals. 3.9% The Go-to Place for Cloud Services and Strategies Relating to: Worldwide Enterprise IT Spending is Projected to Grow. 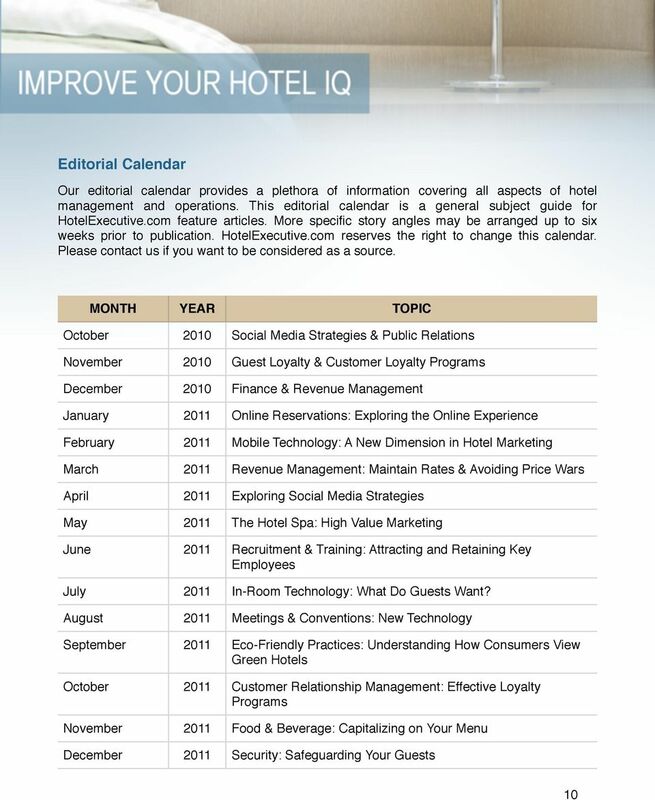 in 2015 to $2. 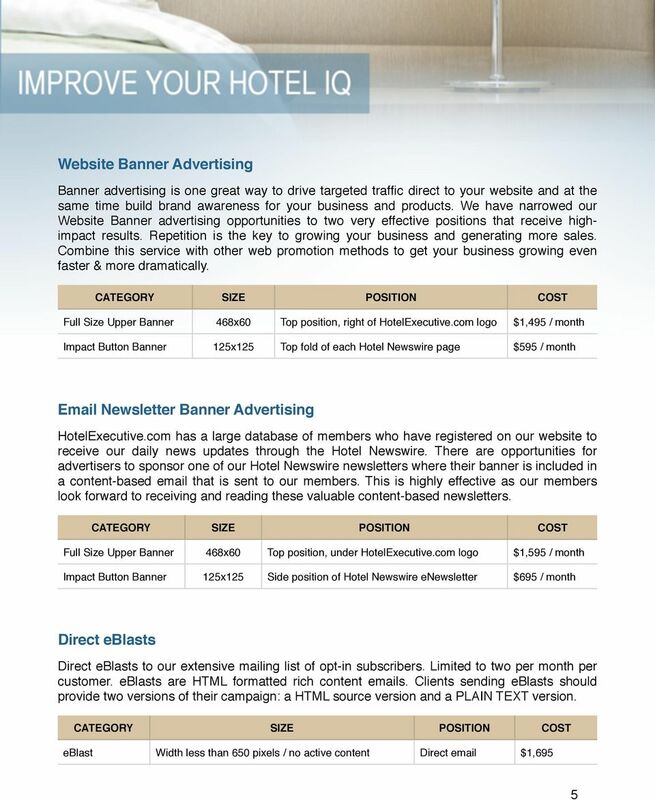 customers and influencers through quality content since 2007. We build Knowledge Network for A-Performers!